The Four Seasons Silicon Valley, originally opened in 2006, renovated its rooms and suites in 2015 and its lobby earlier this year, in 2017, so I was looking forward to seeing its new look while in the South Bay for a law school alumni reunion. At the time that I reserved our room, there was also an Experience More $100 hotel credit for a 2 night minimum stay, which combined with the FSPP $100 spa credit, so this enabled my husband to enjoy a relaxing complimentary massage and also covered breakfast for our son, since the FSPP breakfast benefit is for two guests. The Four Seasons Silicon Valley is located at 2050 University Avenue in East Palo Alto, near the 101 highway. That makes it easy to get to San Francisco Airport (SFO), at least if you avoid rush hour. When we departed early morning on Sunday, it took us about 30 minutes, although figure on much more if there's traffic. At time of writing, self-parking at the hotel is $12 overnight, and $24 for valet parking. I'd only reserved an entry level Superior Room for us, and given alumni weekend, the hotel was quite busy, although thanks to the priority Four Seasons Preferred Partner reservations receive, we would have been upgraded to a Deluxe Room. Nevertheless, the front desk was able to offer, for an additional $100 per night, an upgrade to a Deluxe Four Seasons Executive Suite, which would be more comfortable for the three of us, so I took the hotel up on this offer. As the suite wasn't ready yet when we arrived in the morning, we left our luggage while we went to some alumni events, and it was waiting for us in the suite when we returned. Deluxe Four Seasons Executive Suites are 635 square feet and accommodate a maximum of 3 adults, or 2 adults and 2 children. The living area includes a sofa bed that Housekeeping can make up into a bed for the third adult or kid(s) at turndown time, and then make back into a sofa during the day. We requested the bed to be made at 6pm sharp for our son, to allow my husband and me to get to my (adults only) alumni dinner that evening; unfortunately no one came at that time, so we had to call Housekeeping to remind them. The living area also has a work desk and a bar area where there's a Plum wine dispenser (at additional cost) and a Nespresso machine, with bottled water. The view from both the living area and the bedroom is of the courtyard and, in the distance, the Santa Cruz mountains, which were especially lovely at dusk and sunrise. The bedroom itself wasn't that large, but that was fine, since frankly I care most about how comfortable the bed is–and both my husband and I agree that Four Seasons beds are the most comfortable by far of any hotel beds, particularly when we remember to have it customized with a Signature Plush mattress topper. The bathroom had double his and hers sinks, which we appreciated. Surprisingly, the shower only had a regular showerhead, no rain shower. Bath products were Mer & Mistral, by L'Occitane. I prefer L'Occitane's verbena scent, and it's not as if the hotel is on the ocean (where the Mer & Mistral scent would make more sense) but everyone has their own bath product preferences. The Spa and Fitness Center is on the 3rd floor, along with the rooftop pool. Since our visit was in mid-October, it was fairly chilly there in the morning, but fortunately the pool is heated, so our son enjoyed a swim. Note that family swim hours are 6am-4pm daily, and 4pm-10pm are “Oasis Hours” when only adults 16 or older are permitted. This is a nice compromise between families and couples. If you've forgotten your sunscreen, not to worry–the Four Seasons has you covered, with complimentary sunscreen in dispenser pumps, right by the fruit infused ice water. 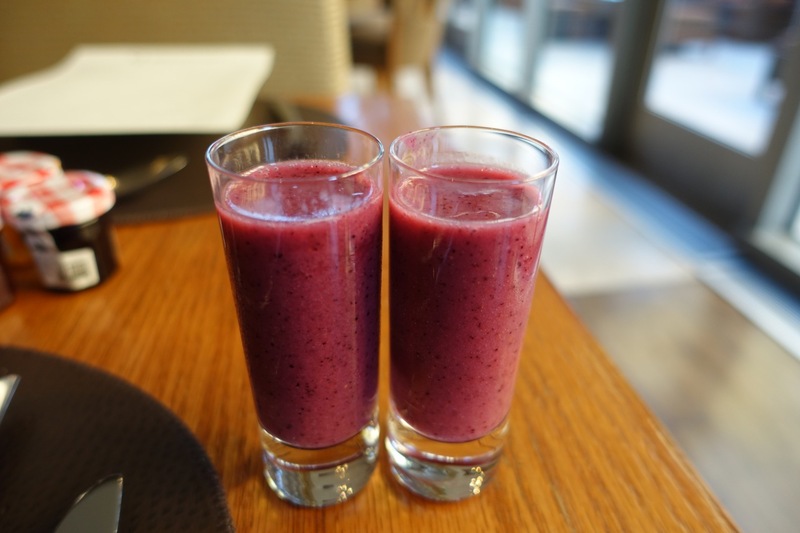 It was chilly enough that morning that I was more interested in hot coffee than infused ice water, and fortunately, as with many other urban Four Seasons, there was complimentary morning coffee and tea, along with some delicious chocolate biscotti, by the elevators on the 3rd floor. We ordered a kid's cheese pizza and salad via room service for our son, which were quite promptly delivered and well executed. The pizza got a two thumbs up from our son, and was served piping hot, while the plain salad was exactly that, correctly prepared without salad dressing, as he'd requested. I'd been disappointed that there was no welcome amenity in the room when we arrived, and had called to inquire. The associate I spoke with inquired as to what I'd prefer, and I mentioned fresh fruit, so this was included with our room service order. The fruit basket was fine, but I still consider it disappointing that it wasn't already in the room, given that we got back to the hotel well after regular 3pm check-in time, and our luggage was already there. Nor was there any kind of welcome amenity for our son. Breakfast the next morning at Quattro Restaurant, however, was very good. 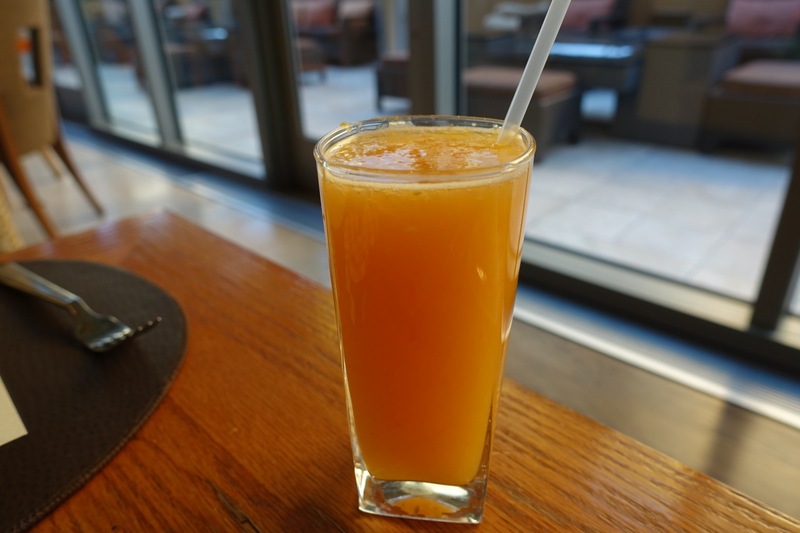 The fresh squeezed orange juice was also good, even if the best fresh squeezed orange juice I've ever had remains the juice at the Four Seasons Marrakech. 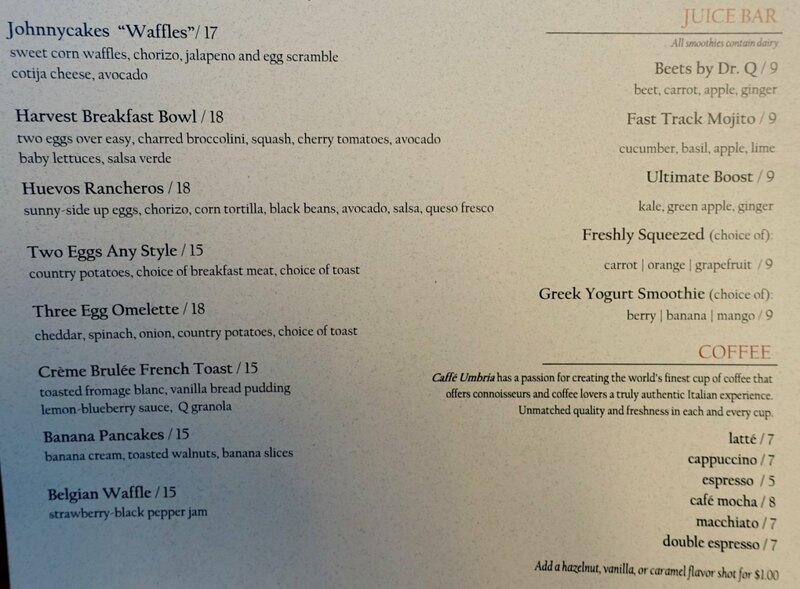 My favorite breakfast entree was the Johnnycakes corn waffle, with chorizo scrambled eggs and avocado. 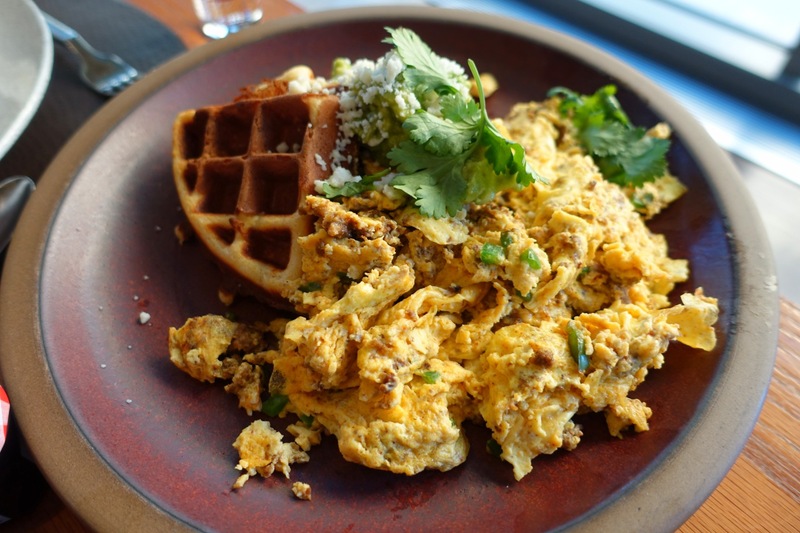 For anyone who prefers savory, Tex-Mex inspired breakfast food, this is a must-order. The banana pancakes weren't bad, but fairly forgettable. 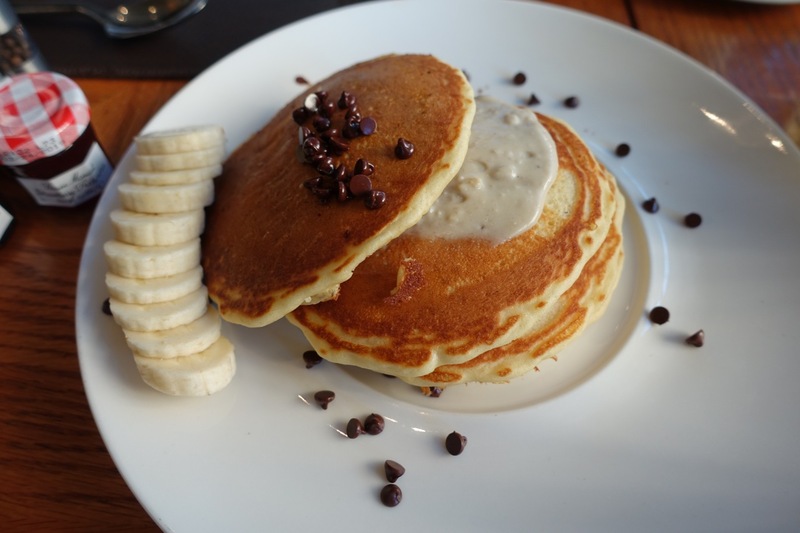 Still, I appreciate that the staff was willing to go off-menu and throw in some chocolate chips (there are banana pancakes on the menu, and chocolate chip pancakes on the kids' menu, but not banana chocolate chip). 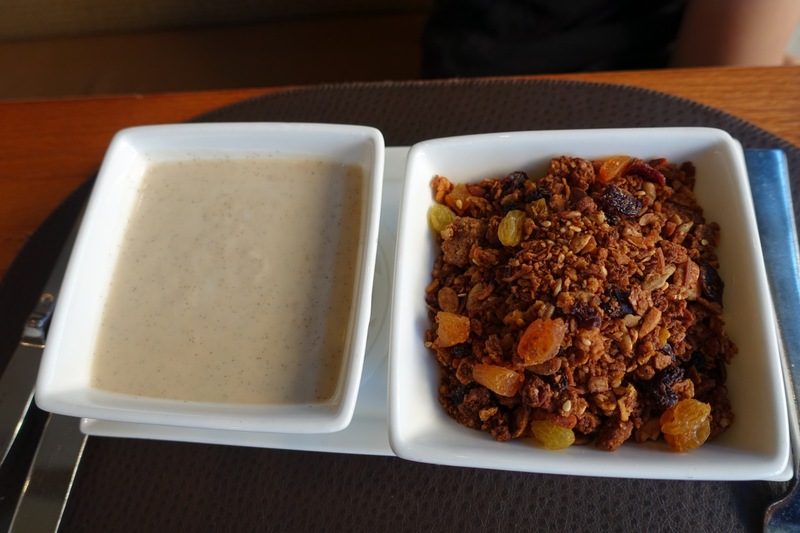 The house-made granola was also a stand-out item, and perfect with greek yogurt with fresh berries. 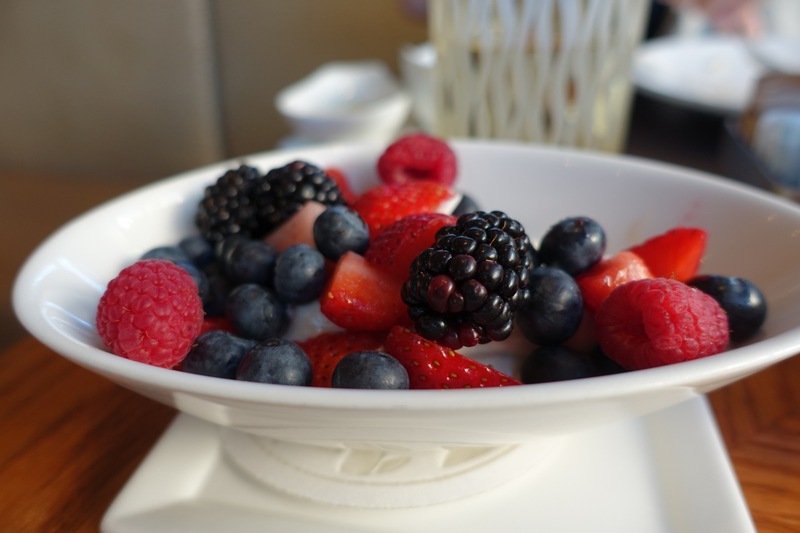 The Four Seasons Silicon Valley is a good hotel–for Silicon Valley and the Bay Area. I always try to manage client expectations if their first experience of a Four Seasons or other luxury hotel is in Asia or a city such as Paris, where service standards are far higher in the luxury segment. Nevertheless, I couldn't help feeling a bit disappointed that there was no welcome amenity for us on arrival to the room, and no kid's welcome amenity at all. And it was frustrating that even though we were very clear about exactly when we needed the sofa bed made up, Housekeeping didn't come at the appointed time, making us rather late for my grad school alumni dinner. On the plus side, the doorman was tremendously helpful in providing a courtesy drop-off so that we wouldn't have to hunt down parking in downtown Palo Alto. And our son did enjoy the heated rooftop pool, which he had entirely to himself on a chilly October morning, while I certainly appreciated the complimentary coffee and chocolate biscotti near the spa. Breakfast at Quattro was also delicious, particularly the smoothie shots, Johnnycakes corn waffle with chorizo egg scramble and avocado, and the house-made granola. Servers were polite and helpful as well. Our suite was comfortable, and my husband and I slept extremely well in the Four Seasons bed, which is our favorite bed apart from our own bed at home. I do wish though that there weren't glass inserts in the door, which allow light to seep from the bedroom into the living room, and I'd also like to see the hotel install rain showers in addition to the current regular shower heads. If you've recently stayed at the Four Seasons Silicon Valley, what was your experience? Disclosure: We paid a Four Seasons Preferred Partner rate for our stay. The opinions expressed in this post are mine.